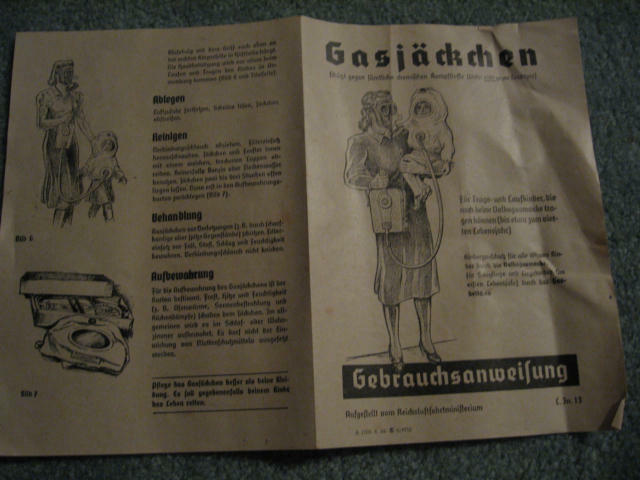 The Gasjäckchen or Gas jacket was intended to be used by infants that can walk on their own , from approximately age one to five years old . 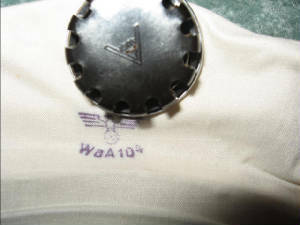 This Gas jacket is a white rubberized fabric with tie cords at both the wrists and at the waist . 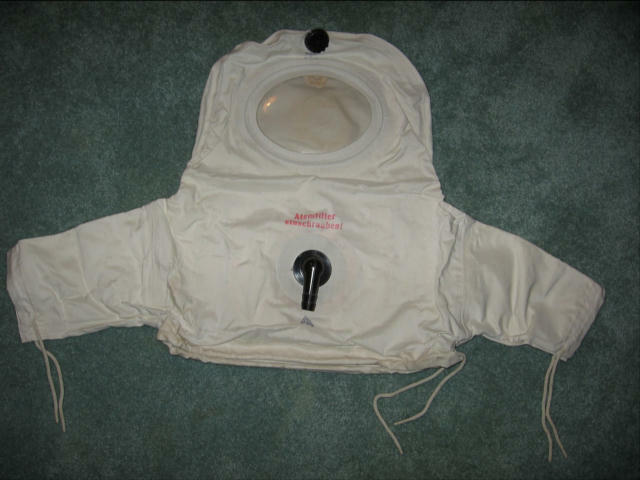 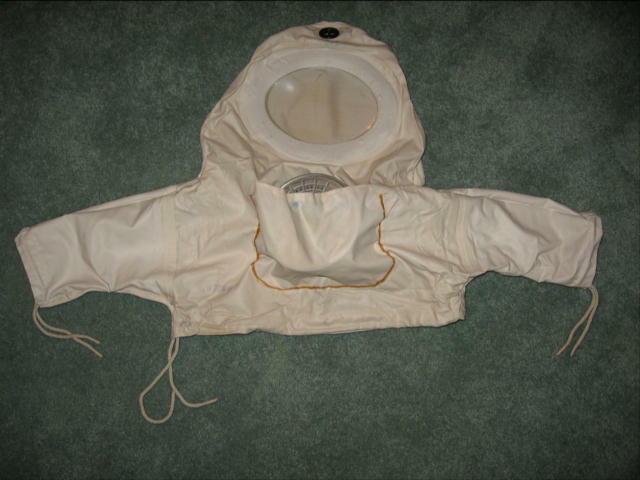 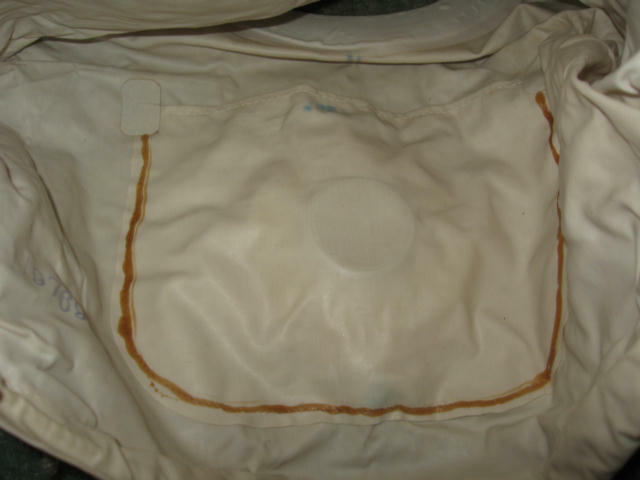 The child can see out of this protective clothing by an oval celluloid view port that was bonded to the jacket fabric. 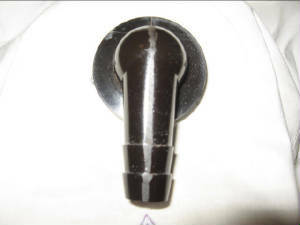 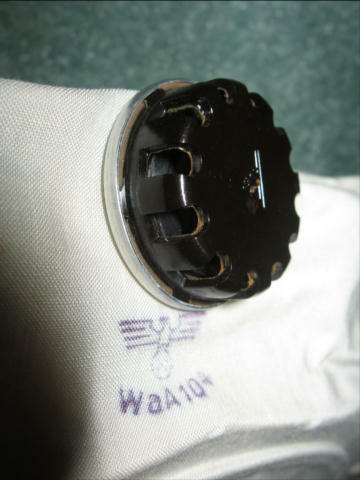 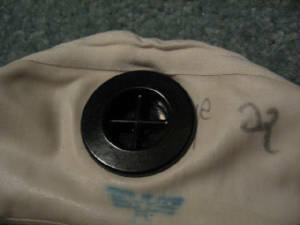 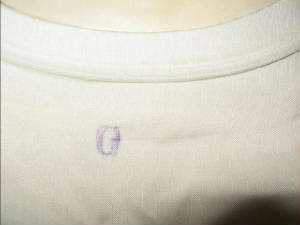 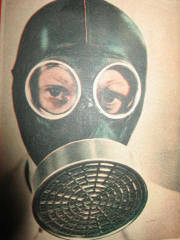 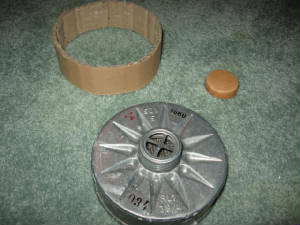 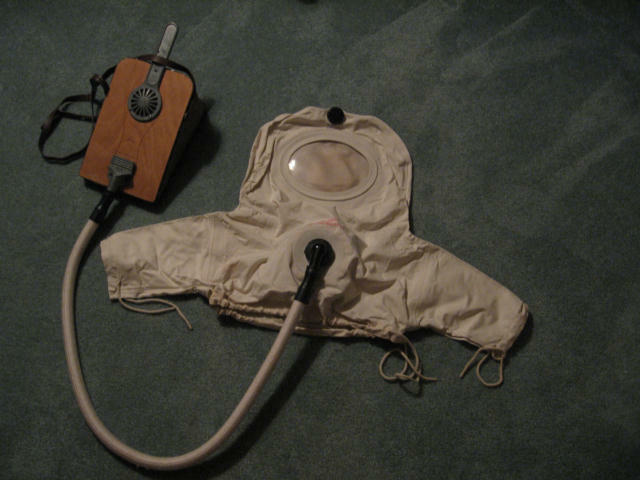 A standard VM ( Volks maske ) gas mask filter was screwed into a threaded inlet port on the inside of the jacket providing filtered air to the child . 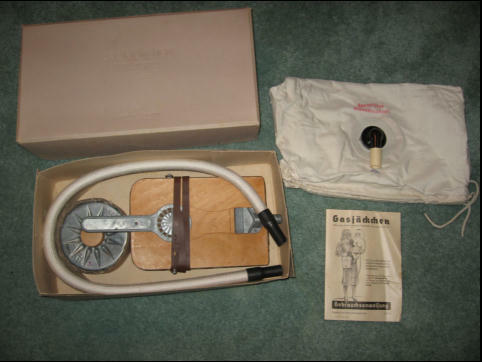 Iside of cardboard box is the fabric jacket , foot pump , air hose , filter and instruction manual . 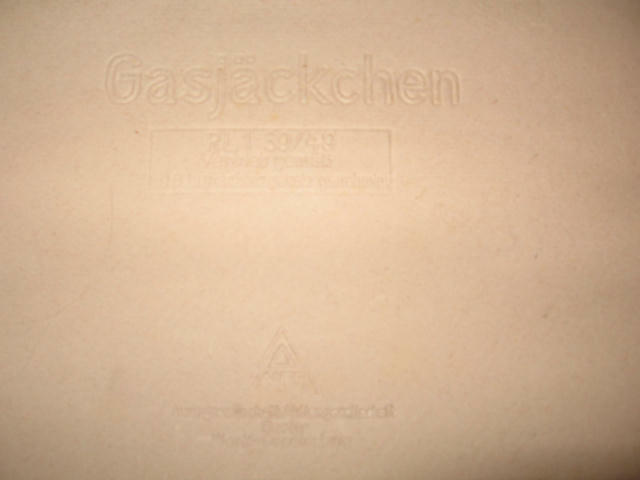 Gasjäckchen RB1 39/49 Ready for use ! 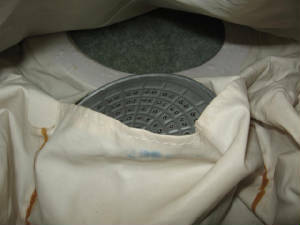 Gas jacket is connected to foot pump via the reinforced hose and VM gas filter canister . 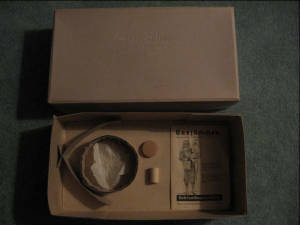 VM gasmask filter used for Gasjäckchen with cardboard packing sleeve and cap for top of filter . 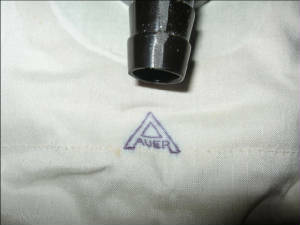 Auer foundbelow the air hose connection barb and is in black ink . 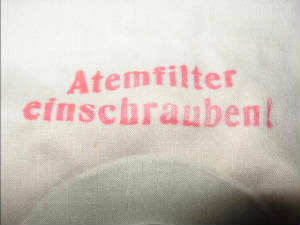 REMINDER INK STAMP TO SCREW ON FILTER ! 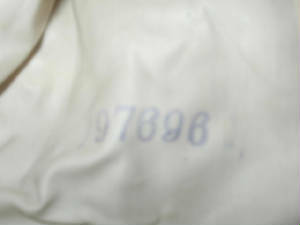 The serial number is ink stamped on the inside of the jacket . 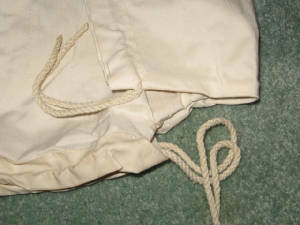 The wrists and waist is closed by these white , round draw strings .